Who needs a trust? Maybe a better question is: Who doesn't? Trusts can be an essential part of an estate plan for anyone who owns significant assets. Reasons for establishing and funding a trust may range from gaining protection from creditors to saving on taxes. A trust can also create a legacy. 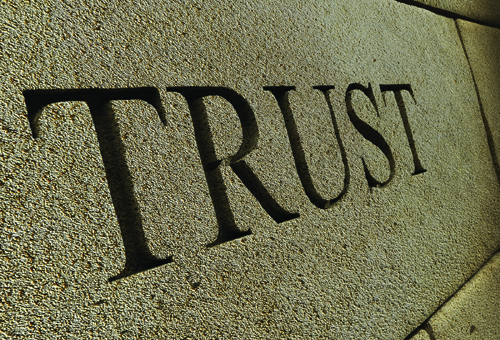 There are many different types of trusts, some of which are revocable—you retain certain rights over trust assets—while others are irrevocable, requiring you to cede all control. And some trusts are complex while others are simple. Although every situation is different, consider these seven potential benefits of have a trust. 1. Avoiding probate. Assets distributed according to the provisions of your will must go through a process known as probate, governed by state law. In some states, this can be extremely lengthy and costly, especially if your will is contested. What's more, your will is open to public inspection—anyone can find out what you're giving to which beneficiaries. Assets transferred to a trust, however, are exempt from probate. When you die, the trustee of a trust can quickly—and privately—distribute your worldly goods to the beneficiaries you've chosen. 2. Protecting assets from creditors. Irrevocable trusts are often used to protect personal assets from creditors. That could be helpful if you (or your beneficiaries) work in a profession in which you might be sued or if you have large debts. But keep in mind that an irrevocable trust is permanent—you can't change your mind. 3. Deterring spendthrift family members. If you would like to leave assets to a someone—perhaps a young child or grandchild—you might be concerned about what will happen when that young person gets his or her hands on the money. A trust can include restraints that may deter profligate spending. For instance, you might set up a trust to dole out amounts at regular intervals, with a lump sum coming when a minor is mature enough to handle the wealth. Or you might impose specific requirements for gaining access to the funds—for example, completing a college degree. 4. Authorizing "dead-hand" control. This basically means that the conditions that a trust imposes will remain in effect after you've passed away. So, for example, that youngster might not finish college until years down the road. But maintaining this kind of control may not have the desired effect, or the trust could be subject to legal challenges if its conditions violate public policy. 5. Shifting responsibility for your investments. Usually, when you're investing for yourself, you shoulder most of the responsibilities. But transferring assets to a trust and placing them under the control of a trustee can relieve you of that burden. The trustee, who must meet certain fiduciary standards, then becomes responsible for managing the portfolio of trust assets and other property in the trust. Establishing a trust may also be a way to consolidate some investments. 6. Meeting charitable intentions. You can use a trust to direct donations to a charity both while you're alive and after your death. With a charitable remainder trust (CRT), your family can receive regular payments during your lifetime, with the remainder of the assets going to the charity when you die. A charitable lead trust (CLT) reverses that equation, providing current income to a charity and then directing the assets that remain at your death to your beneficiaries. In either case, establishing the trust is likely to reduce your taxes. 7. Saving estate taxes. A properly structured trust can maximize the available estate tax benefits on both federal and state levels. Federal law allows an unlimited marital deduction for transfers between spouses and a generous estate tax exemption ($5.49 million in 2017) for other transfers. 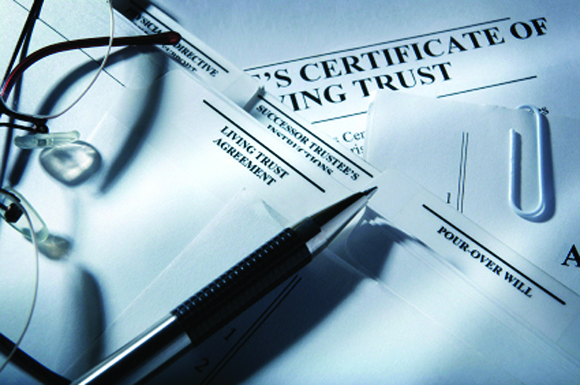 Trusts can also utilize your generation-skipping exemption as well as providing future tax protection of your heirs. There are other reasons why you might utilize a trust, but these seven are among the most common. What about you? Consult with your estate planning advisors to see which type of trust, or combinations of trusts, might best suit your needs. Where's Your Retirement Income Gonna Come From? What Should You Do With That Old 401(k) Account?